online reviews are key to success. 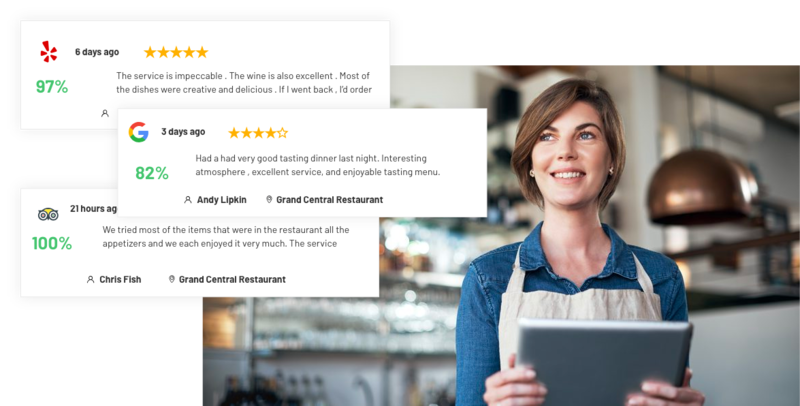 Manage and respond to all your reviews in one central location. Spend less time on haters and more on what you love. Collect more and better reviews to boost your ranking. We collect and categorize reviews by topic, tone, and response. Know what they think of you and respond directly from our dashboard. Reviews help identify areas for future improvements. And simply responding to them will raise your ranking on review sites. 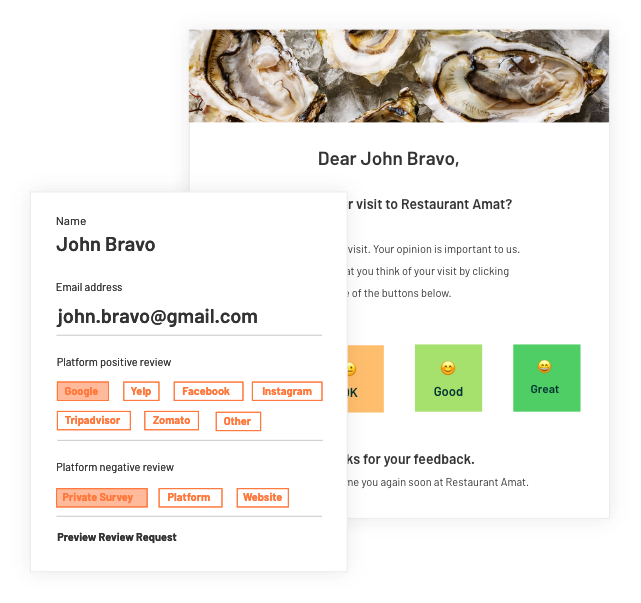 Check in with your guests by asking for direct feedback by email. 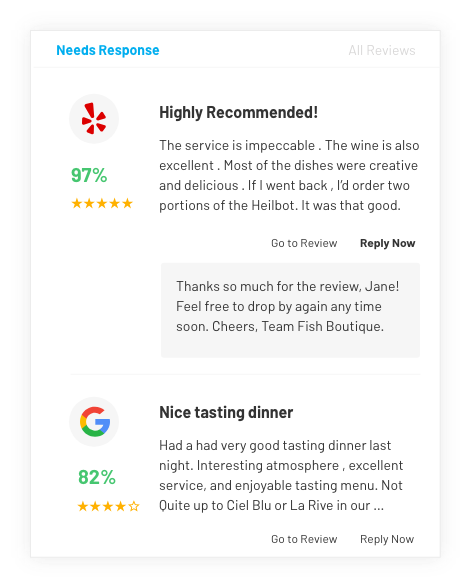 Then invite satisfied diners to write reviews on their favorite websites. 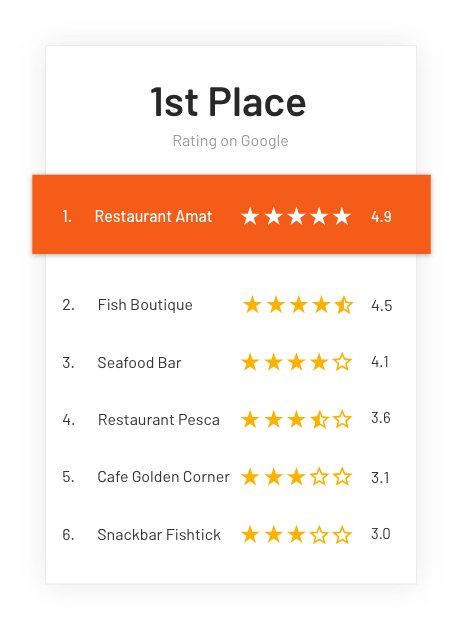 Research shows that a one-star higher rating leads to a 15% more revenue. 87% of guests rely on online reviews when choosing a local restaurant. Respond to 75% of your reviews to improve your sites rankings.